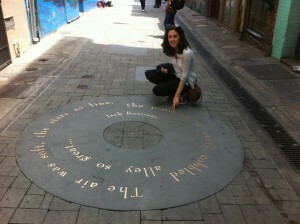 During this summer holidays I had the chance to spend some days in San Francisco. 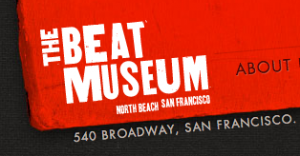 Walking around, I found The Beat Museum, dedicated to the Beat Generation, and I thought It deserved a post. 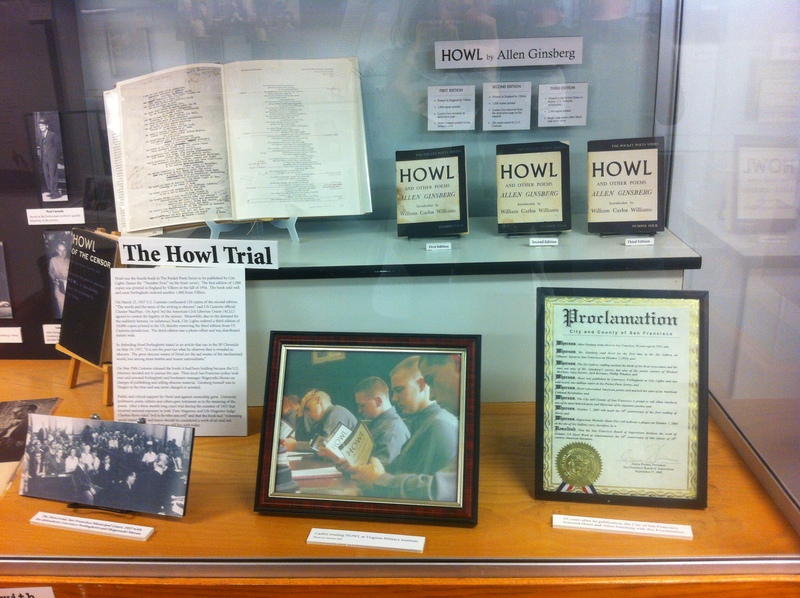 The Museum is a small place near Chinatown, located in front of the editing house that dared to publish The Howl, next to an alley full of quotes by the Beatniks. 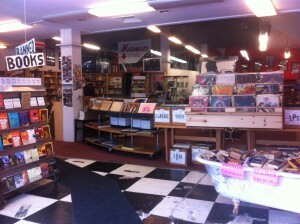 Through an attractive library full of books organized in shelves, tables and even bath tubes, you can find the entrance to the BEAT MUSEUM. 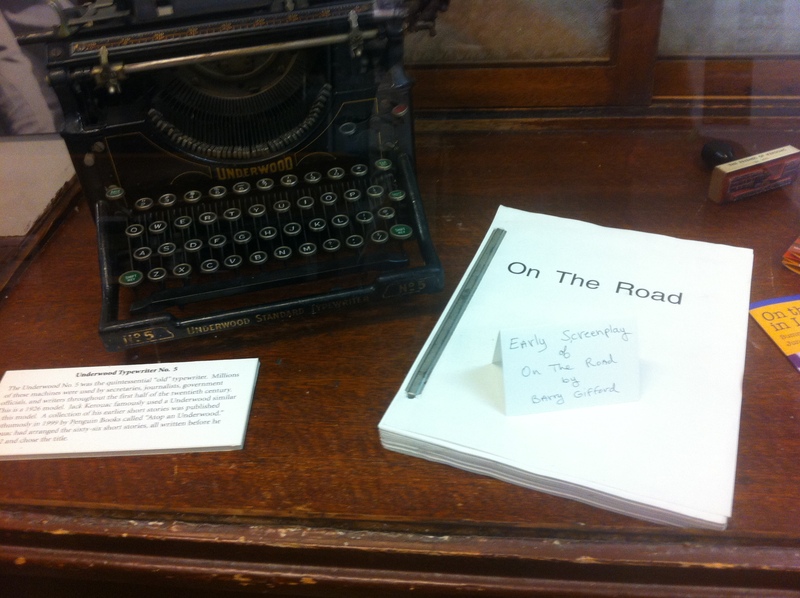 Inside the museum, you will be able to see things like the original screenplay of “On the Road”, learn more about the obscenity trial of the famous poem “The Howl” or about the Beat writers’ life, and feel the magic of their literature. 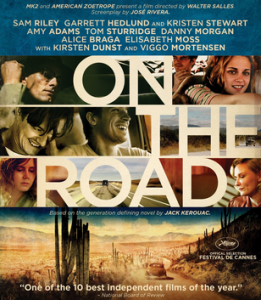 After this session of literature history, I decided to start reading the book On the Road by Jack Kerouac, ranked among the best 100 english-language novels of the 20th century, that recently became a film. 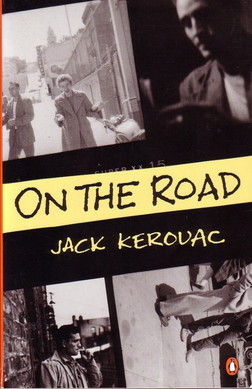 Jack Kerouac introduced the phrase “Beat Generation” in 1948 to characterize a perceived underground, anti-conformist youth movement in New York. Allen Ginsberg‘s Howl (1956), William S. Burroughs‘s Naked Lunch (1959) and Jack Kerouac‘s On the Road (1957) are among the best known examples of Beat literature. 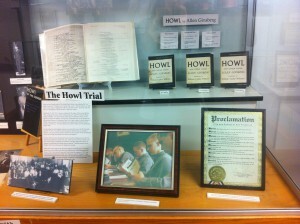 Both Howl and Naked Lunch were the focus of obscenity trials that ultimately helped to liberalize publishing in the United States.The members of the Beat Generation developed a reputation as new bohemian hedonists, who celebrated non-conformity and spontaneous creativity.